Well, a horse grandma. 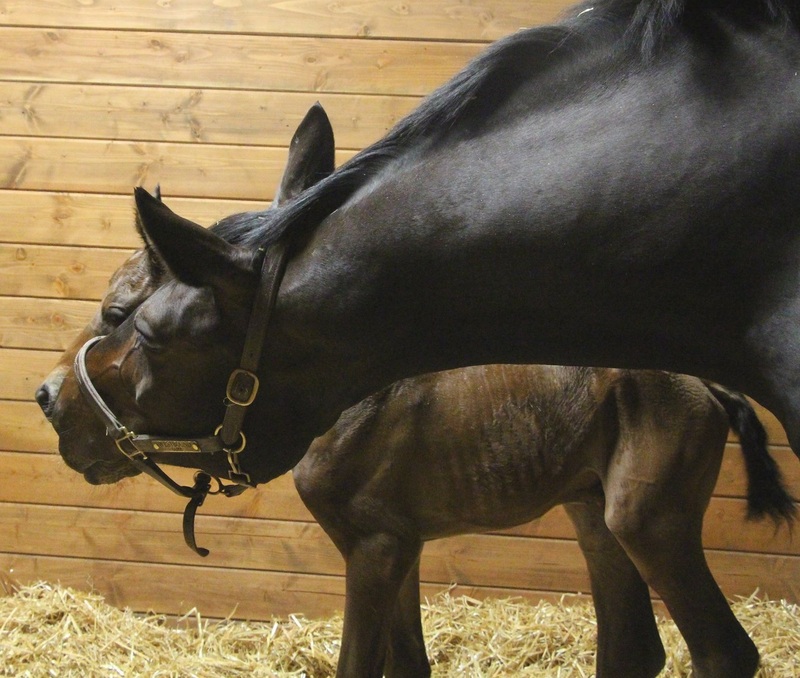 Sadie’s baby was born last night at around 8:30pm – it’s a BIG bay colt! He looks like a little copy of mom, with the exact same little white sock and tiny speck of white on his forehead, and her trademark donkey ears. He’s gonna big a big, rangey dude. I’ll have more/better pictures later this week as he unfolds and they go outside, but here’s a few to get you started! 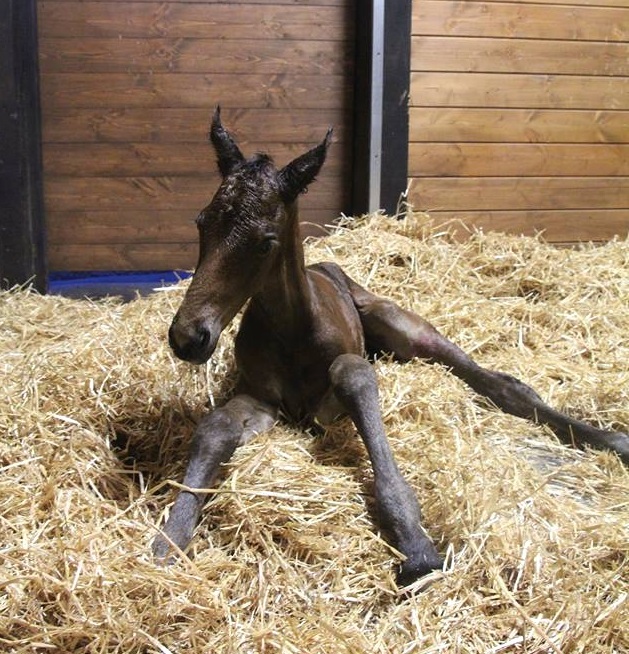 All went very well, it was a quick birth and he was trying to stand almost immediately. Sadie was also up quickly and passed everything in one piece. She’s being a great mom, totally loves him. You never really know how maidens are going to feel about the whole thing until the moment comes. That brings us to the issue of who won the Baby Contest. It ended up being neck and neck. No one guessed the exact date but ONE person guessed June 26, so was only 2 days off. She got the color right and was only a couple hours off on the time, and missed the gender (don’t worry, initially everyone thought it was a filly too), but it was close enough! Congrats to ashequine! I cannot get to your blog page link so please contact me so I can get you your Riding Warehouse gift certificate! Oops. It’s early I’m sleep deprived. 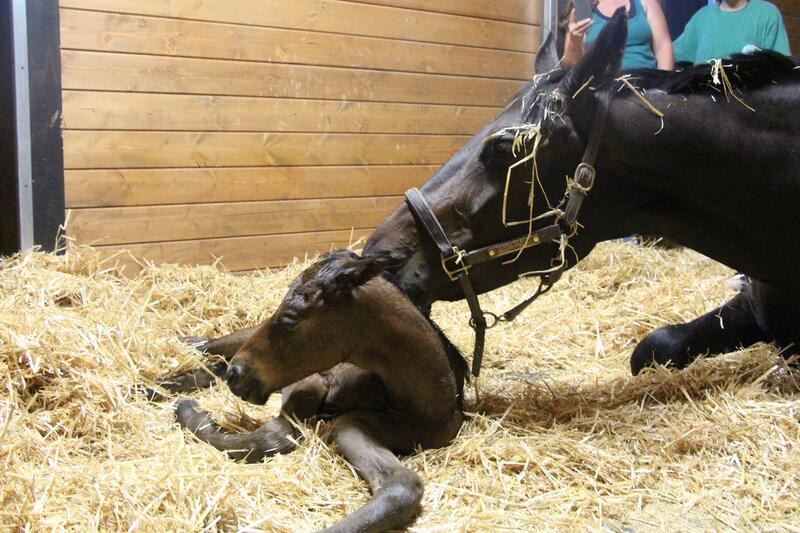 Congrats on a safe foaling and a healthy beautiful baby!! Congratulations! So cute – love those ears!! Congrats to you, first and foremost!!! Holy freaking CUTENESS! Glad to hear both mom and baby are doing well and I hope you get the chance to go visit soon! Thank you for the fun contest! Not sure why my blog link isn’t working…that’s weird. I’m Abby from The Maggie Memoirs if you’re curious though lol – I’ll email you in a sec! Thanks you!! So sweet!!! Congrats on everyone being happy and healthy and CUTE!! Congrats! I’m glad I kept reading because the title had me intially a little weirded out! 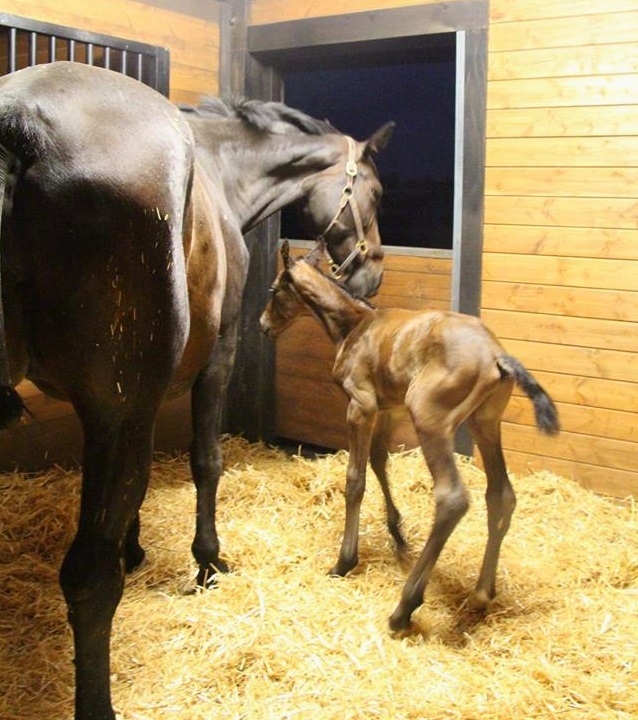 Oh the cuteness of a foal…I just melted! omg. 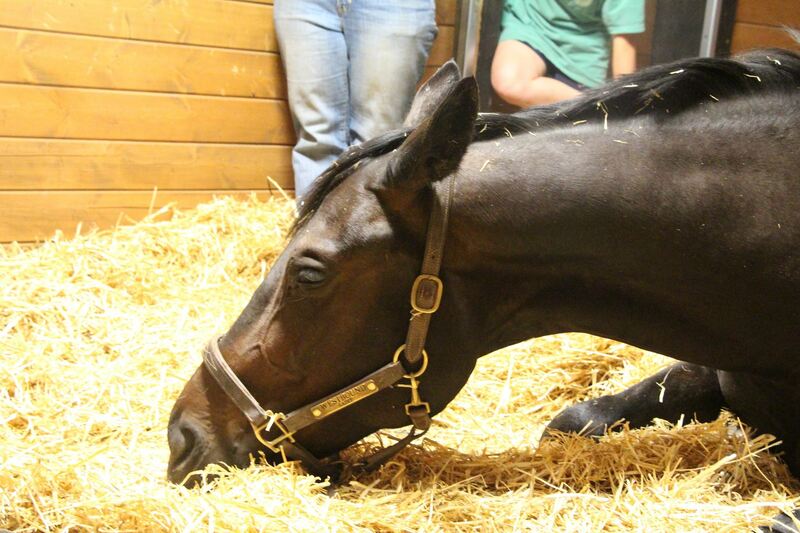 I just died at the pic of him sleeping with his muzzle on the straw. Congrats grandma 😉 he’s so cute!! Love that falling asleep in the straw pic, babas are beyond adorable for that first sleep where they hang on & hang on but then succumb and nod off in the funniest positions before toppling over…so stinking cayute!! Soooooo cuuuuute!!! =D =D Congrats Grandma! Congrats! Glad both mom and baby are doing well and he is really adorable. Cute!! Glad all is well. Awww hi there Sadie Baby!